Pictures on the fridge, clutter on the counter, paraphernalia from the WWE and a video game sitting on the table close to me along side a bottle of ketchup, in other words, everything seems to be in general disarray. I could stand up and have everything in place in a few minutes, and it would all be there to do, again tomorrow! Nothing stays clean or in place without an effort to keep it that way. If you go three days without dusting (at least in this house), you would be able to write your name on every surface. Our bodies take constant grooming, and care in order to keep them healthy and clean. We eat, in a few hours hunger returns and as a rule most of us eat three times a day. What all these things have in common is they are all recurring, things we have to keep on doing, every day, to keep things right. Why is it then that you give your heart to the Lord, and think that you don’t need to keep up an active prayer life, a vibrant Bible study to keep the Word before our eyes and fresh in our spirit? Why do we pray one time for something and because it doesn’t happen on our time schedule, we just give up? We think of all the miracles in the Bible and wish we could see miracles like that in our own life, but have you ever studied how those people lived? 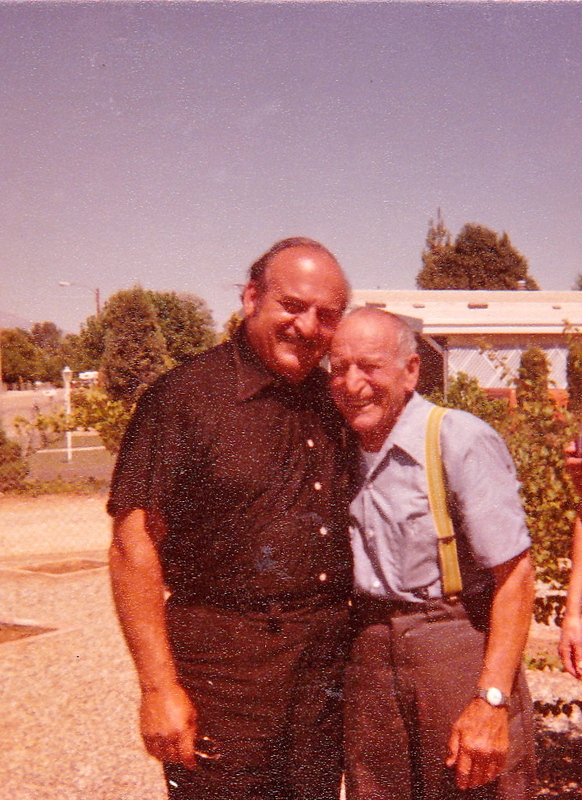 My grandfather Mushegan was anointed of the Holy Spirit to see into the future. He prophesied the beginning and location of our church, told my sister when and how her husband would appear, the stories of things that happened in his ministry are legendary, what was different about him? I have learned from my dad that those gifts were not manifest in his life in his early years, what happened? He walked alone in the hills and talked with God, hours a day were spent in conversation with God. He sat for hours with the Word on his lap, or on the table in front of him, reading and studying. He spent time in the Psalms and like the Shepherd King, took pleasure in worshiping his heavenly Father. I would call and greet him, and before I could finish saying hello he would tell me why I had called, amazing what the Spirit knows about you, and more amazing that He would reveal it to my grandfather when I needed it! Was he special? Let me ask you something, if you had ten children you would love them all the same, every one of them, however, if there was one that constantly hung at your heels, followed you around the house, asked you questions, helped you lift a heavy load, just sat and talked with you, don’t you think that they would be more likely to know your heart, to know how you felt about certain issues, and if they were sitting at the table in the kitchen when a tray of cookies came out, wouldn’t they be the first to get one? If the other children saw them getting the cookie, they might be jealous and ask if you love them more. You don’t love them more they are just there at your elbow, getting the cookies right out of the oven, and information before anyone else. If you want to know God’s secrets, become a student of His Word, have daily conversations with Him, get acquainted with Him, for real. So the answer to the question “What does it take?” is this, He loves you but if you want to be special to Him, make Him special to YOU! Previous Post Previous post:What’s new? What a great lesson. FITS with life when we think about it. It’s Lynn Harris here. Hope you and yours are doing well. I found your site by looking you and Janet up on Facebook. I enjoy listening to and reading both of y’alls things. I’m sorry about your folks passing. I’m sure that their passing was hard on you and your family. But what JOY they are experiencing as you well know. My email is lynnh81@gmail.com if you get the chance to drop me a line. Tell Janet that I said hello. Hey girl!!! Good to hear from you‼️ Request me on Facebook!